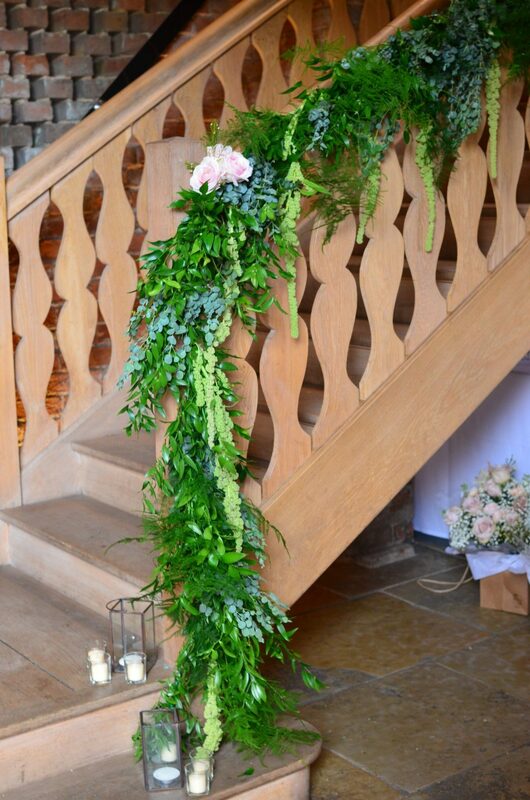 I’m looking forward to share these wedding flowers we provided at Shustoke Barn. One of my favourite weddings (and venues) held on a gloriously warm July day! It was a pleasure to work with Felicity & Mark on their wedding day! 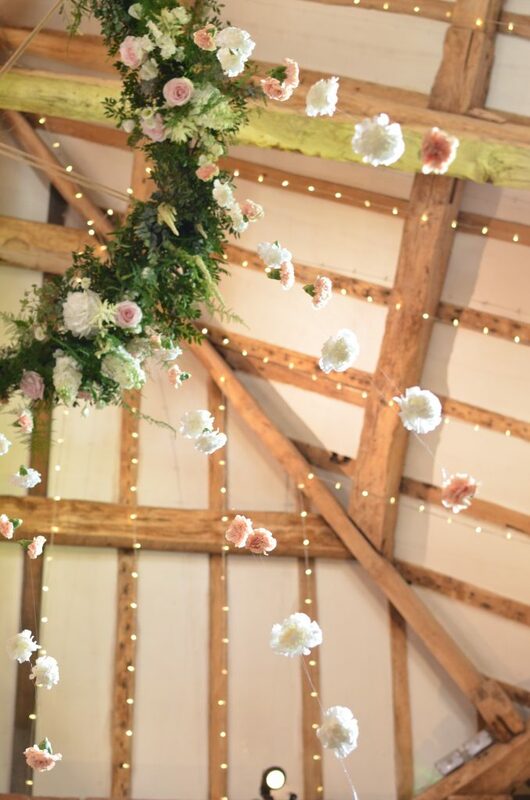 We also created a large hanging halo in the barn a show stopping piece that their guests were wowed with on the arrival which also creates a talking point. 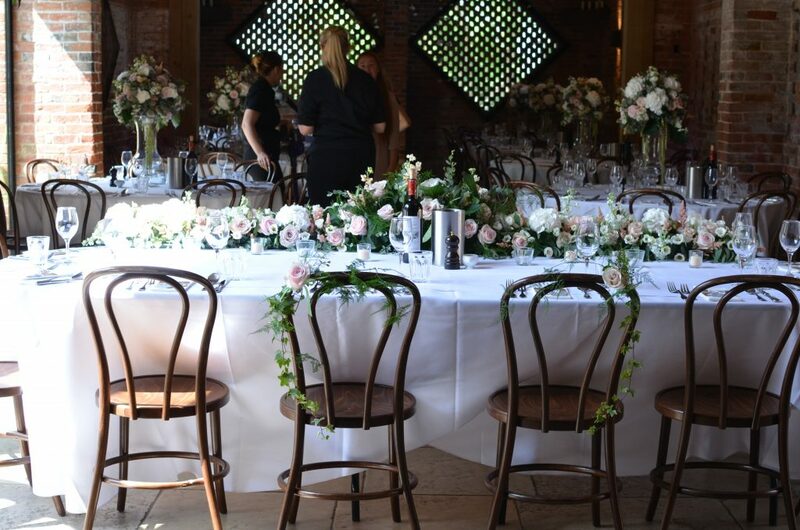 The tables adorned arrangements, the staircase a display and the table plan the couples idea worked beautifully all incorporating complimentary flowers. 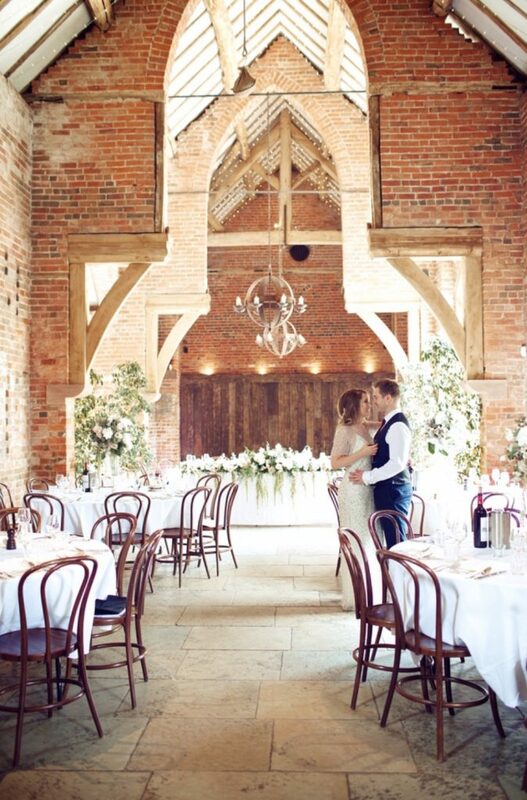 I’ve worked at Shustoke Barn several times so know the venue well which is important when looking for a Florist to work with on your big day. Felicity sent me some amazing feedback after their big day! 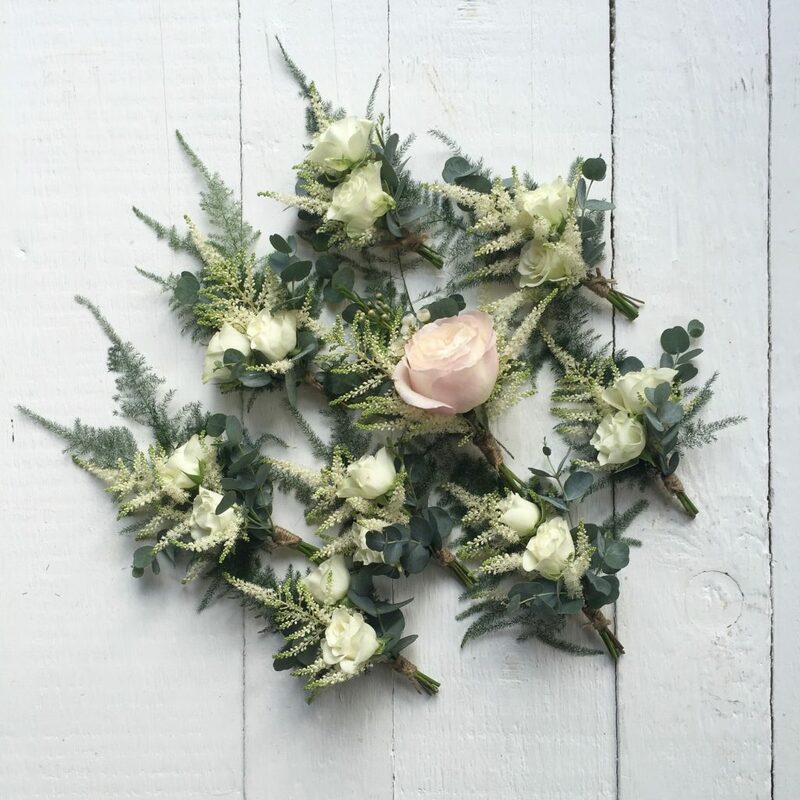 “I didn’t think I could find the words to describe how amazing Rachel has been and how fabulous our wedding flowers were. We had so many great comment’s about the flowers, such as “it looks like a wedding magazine shoot” we have never seen flowers like this before, they are amazing. 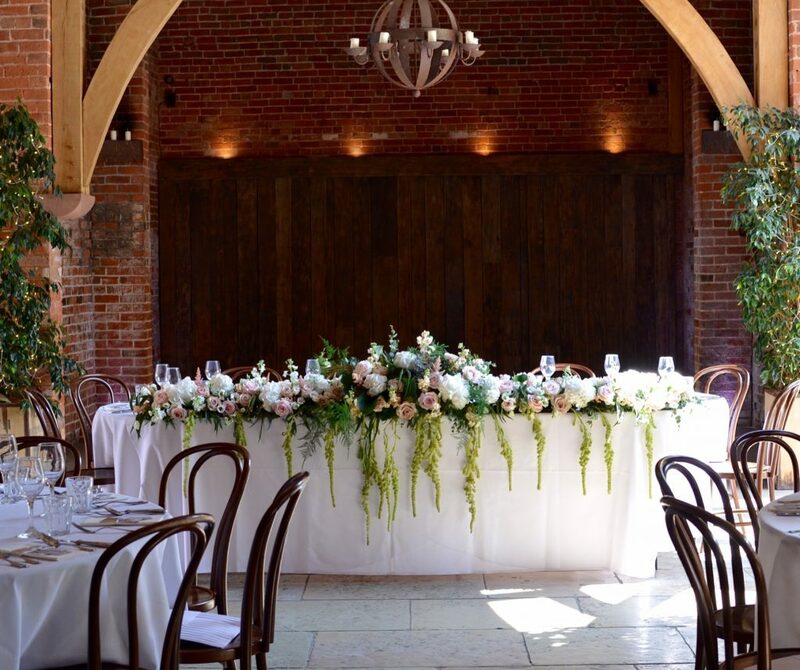 Run by Rachel Norris, Albetine has been specialising in creating beautiful wedding florals in Dunchurch, Warwickshire independently since 2013 – although floraling for many years before that. 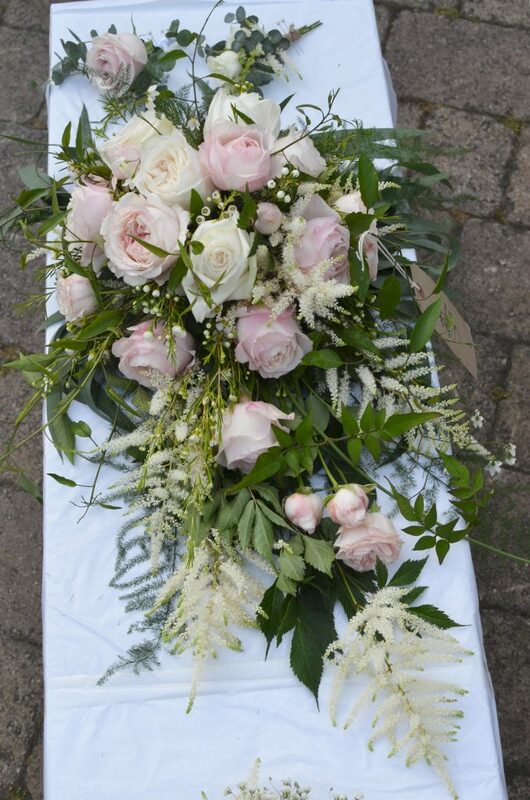 We are passionate about what Albetine provides; from the first consultation to the delivery and setting up of your unforgettable florals. 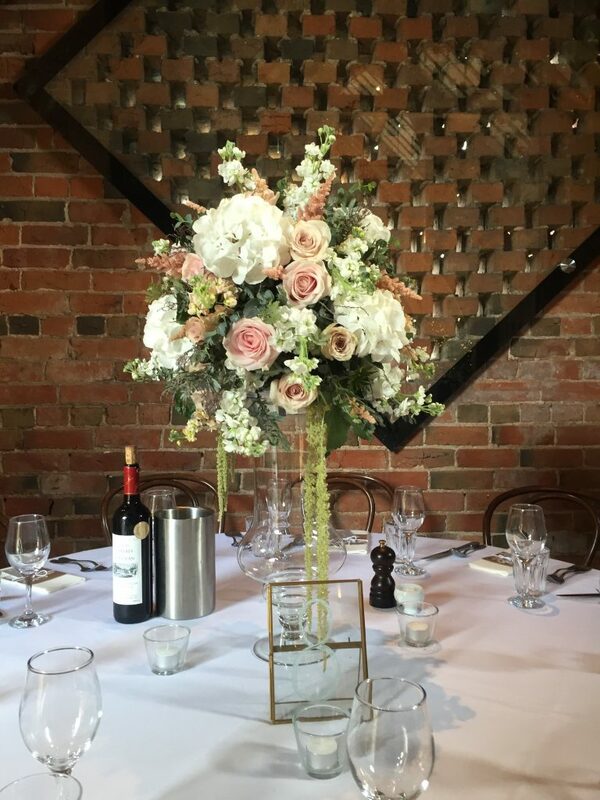 Albetine offers a professional service, which is reflected in the attention to detail we lovingly give to each and every floral arrangement.